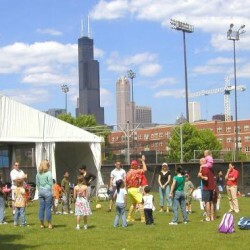 UIC Picnic Grove is the best private picnic venue in Chicago with recently renovated outdoor athletic facilities located within blocks of the Chicago Loop. 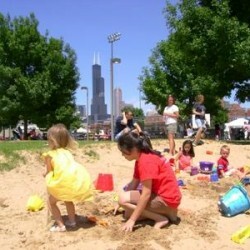 The UIC Picnic Grove provides two separate well-groomed areas that include the following amenities: collegiate softball field; three sand volleyball courts; regulation soccer field; expansive private grassy areas; spectacular views of the Chicago skyline; private fenced-in grounds with restroom facilities and landscaped picnic areas; a path for bicycling or roller-blading; ample inexpensive parking; and easy accessibility via public transportation. 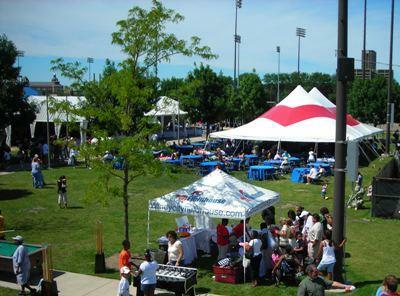 The UIC Picnic Grove is the perfect location for your next company picnic! Bring your employees and guests together at Chicago’s hidden gem - a private interactive picnic venue located minutes from the Chicago Loop. 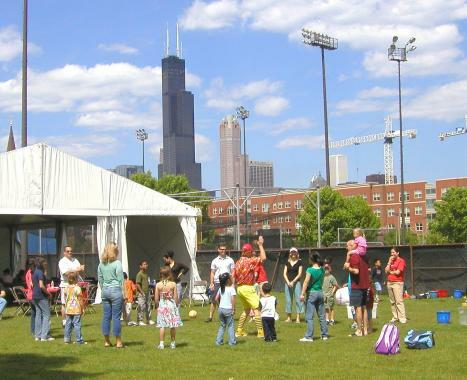 Whether during the week or on the weekend, the UIC Picnic Grove partners with Picnics In Chicago (PIC) to cater your picnic to all age groups – children, adults and seniors. 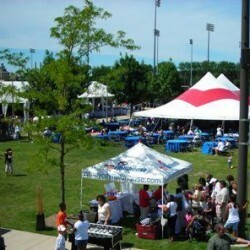 A variety of entertainment options are available including inflatable attractions, face painters, caricature artists, live bands, disk jockeys/entertainers, rock-climbing walls and a children’s program including everything from “arts & crafts” to creative water games and relays. In addition, the PIC team provides its clients with a helpful planning guide, “Keys to Maximizing Attendance at Your Summer Picnic”. The guide provides specific steps to follow in order to generate enthusiasm for the outing prior to the event including sample e-mail announcements, planning schedules and pre-event checklists. We take care of every event detail including catering, tent arrangements, permits, security and bus transportation making your event easy to plan and hassle free. 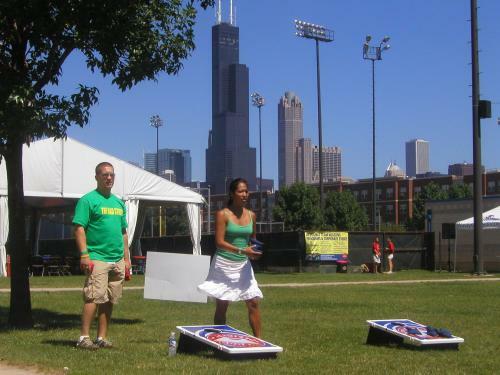 The UIC Picnic Grove is the hidden gem of Chicago downtown picnic venues so contact us today for more information and a chance to make this summer’s picnic the best one ever! Who doesn’t love food trucks?! 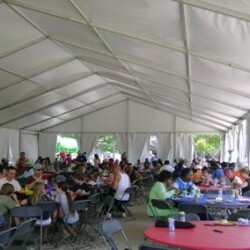 Now add an outdoor location that is reserved exclusively for your team. It’s the perfect combination of great food and fun for all to enjoy. 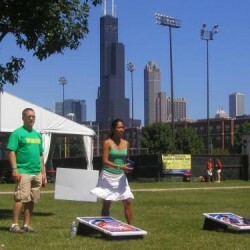 PIC coordinates with well-known Chicago Food Trucks and adds great summer entertainment (think baggo, bocce, giant jenga and music) to create an event that will get everyone in your office excited. Plus you don’t have to track down the Lobster Roll Truck and call around for the next available Donut Truck - PIC does that part for you! Imagine a weekend street festival. 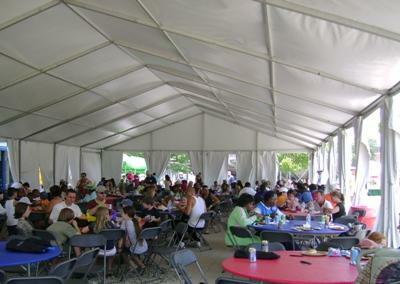 Food stations, live music, inflatables to tire out the kids, games of skill and chance to engage the adults...now imagine all that without the crowds; an event exclusive to your employees and their families. 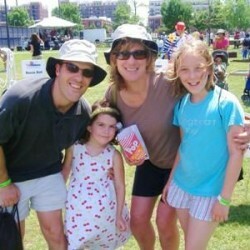 PIC has the experience and the expertise to make a festival-style summer outing a real perk! 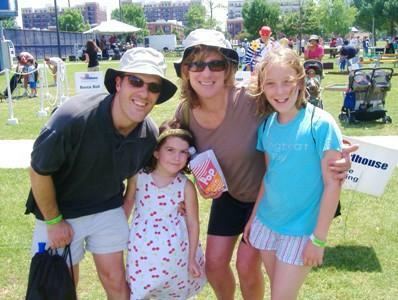 Corporations and Association groups (up to 10,000 people) seeking an outdoor, all inclusive event in the city or suburbs that is fun & interactive while building camaraderie amongst employees and their families and a hassle-free planning experience. Our ability to listen to clients needs, create fun and innovative summer outings to cater to these needs and provide an environment to enhance meaningful relationships. 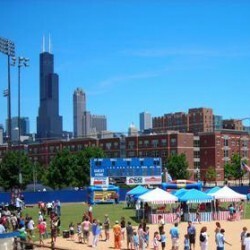 The best private venue in Chicago - UIC offers recently renovated athletic facilities located within blocks of the Chicago Loop. 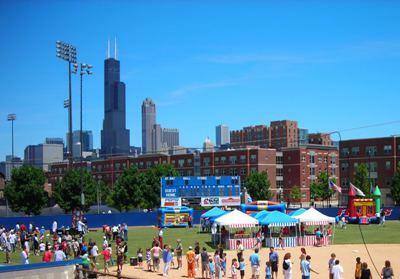 In addition, UIC has spectacular views of the Chicago skyline, private fenced-in grounds, ample free parking and more. 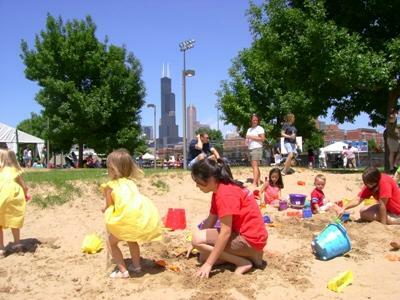 Facilitated and interactive picnics that meet the goals and objectives of the client at the best private location in Chicago. Hassle-free planning experience, much higher added-value than the traditional picnic and facilitated and interactive picnics that meet the goals and objectives of the client.